GoatZ, the just released DLC for Goat Simulator, is latching on to the zombie trend that’s been sweeping the gaming industry. Oh, and the survival trend. And the crafting system craze… Basically, GoatZ is going to fufill all of your zombie goat desires. It has the same kind of hilarious, ridiculous antics we’ve all come to expect from Coffee Stain Studios, and Goat Simulator has been temporarily discounted on Steam to celebrate this new, flesh-eating content. Goat Simulator: Official Wiki, Launch & Map Contest! While Goat Simulator doesn't launch until tomorrow, April 1st, we're so excited about this launch that we couldn't wait one more day to announce the Official Goat Simulator Wiki and the map contest that goes with it! We're thrilled to have partnered with Coffee Stain Studios for this official wiki and we want to wish them a happy early launch day! Early supporters have been licking objects and flinging them about with their lolling goat tongues since Friday with early access. We cannot wait to hear what you think of Goat Simulator. Why should you be playing Goat Simulator, you ask. Well, if you look at the Steam Workshop page for it, the first and last point simply state, "you can be a goat" and we all know how awesome that is. What more could you ask for? 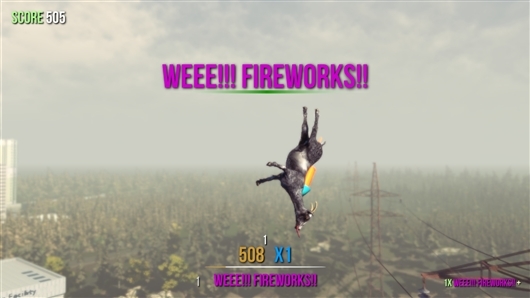 While Goat Simulator has physics, they are promised to spazz out all of the time. Coffee Stain is only interested in fixing game breaking bugs, but recognize most of them are hysterical, and therefore, will remain in the game. If smashing objects to gain points so you can brag to your friends that you are the true alpha goat isn't enough for you, Steam Workshop support allows you to create your own goats, maps, levels, missions and game modes! Speaking of maps, we are running a contest alongside the launch and the Official Goat Simulator Wiki! 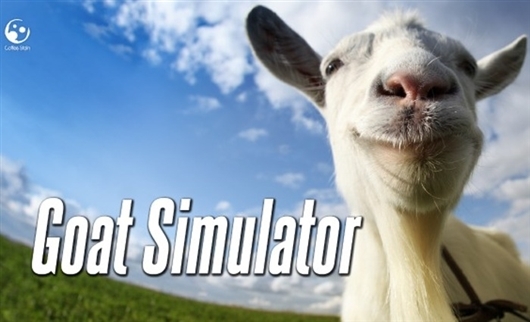 Between the launch and May 5th, create your own map and upload it to Goat Simulator's Steam Workshop to be considered. Coffee Stain Studios will judge and pick the top maps and the winners will receive some really cool prizes. The top maps will be showcased at the Curse and Gamepedia booth at E3! You could quite possibly have your map shown to tens of thousands of people at the biggest gaming industry expo in the world! Grab a copy of Goat Simulator off Steam and start creating a map that will win over the hearts of booth attendees at E3! After uploading your map to Steam Workshop, head over to the Official Goat Simulator Wiki and see what you can do to help out. Want to become a contributor? The Help Wiki has all of the information you need to get started as a successful contributor!